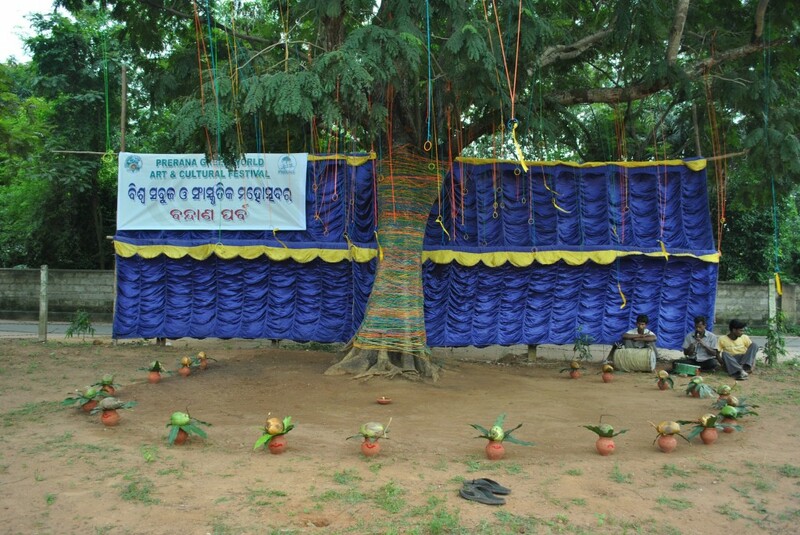 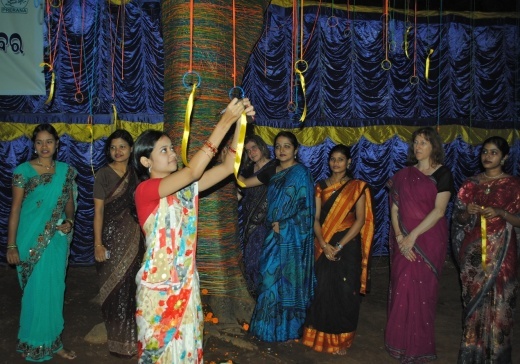 Wish Tree is based on the Indian tradition in which people tie string or fabric around trees and make wishes for an auspicious future. 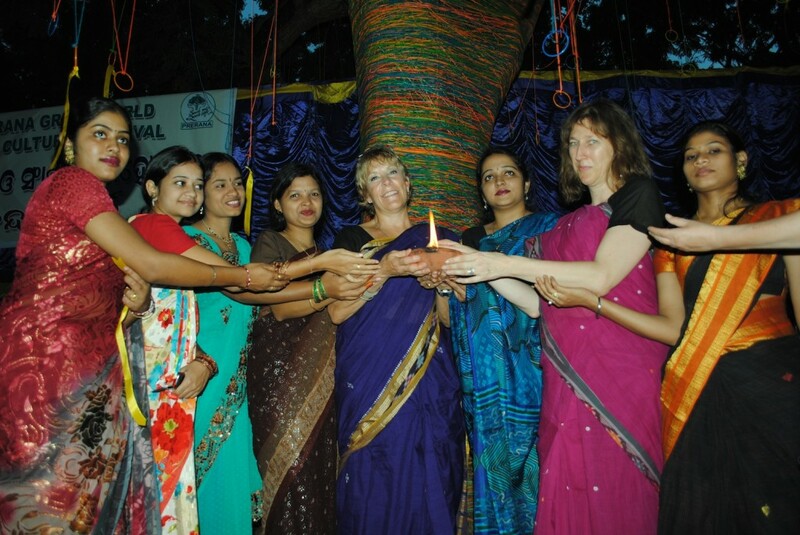 Together with artists from England, Ireland and India, I wrapped the tree in colorful threads of yarn. 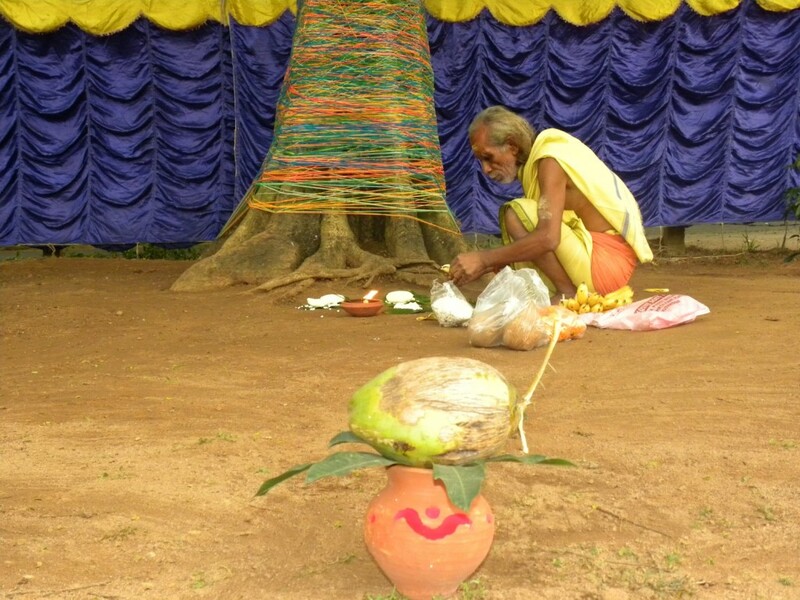 Like the threads that wrap this tree,individually we are single threads, together we form the fabric of society. 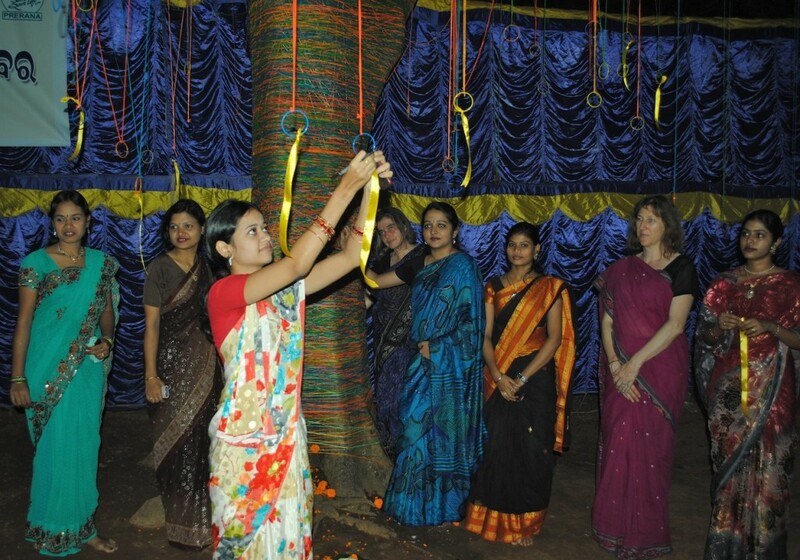 I then invited people to write their wishes for the future of our environment and tie them to the bangles hanging in the tree as their personal commitment to work toward keeping our world clean and green.